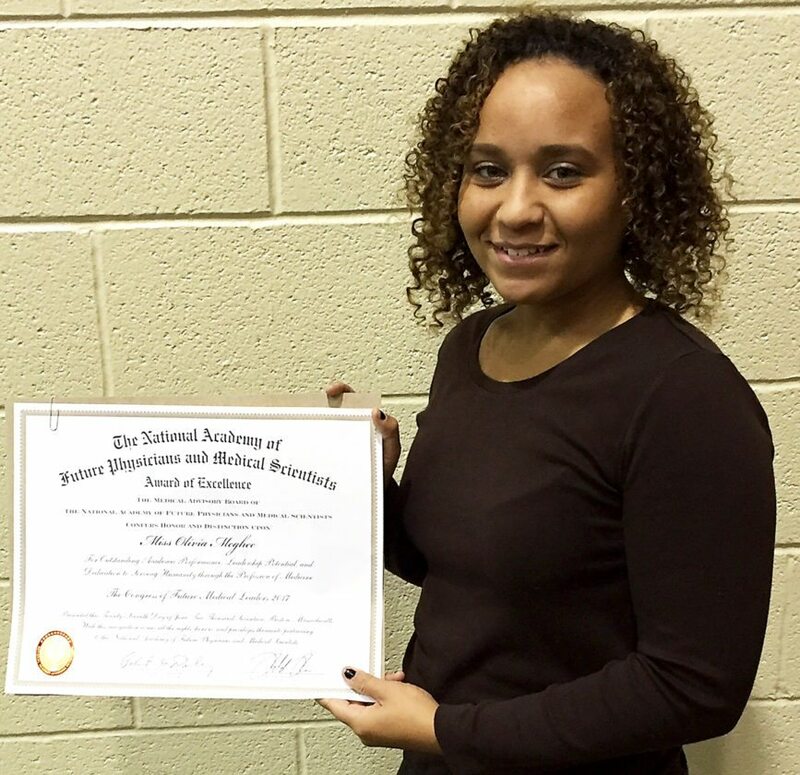 PHOTO PROVIDED Olivia McGhee shows the award she received from the National Academy of Future Physicians and Medical Scientists. 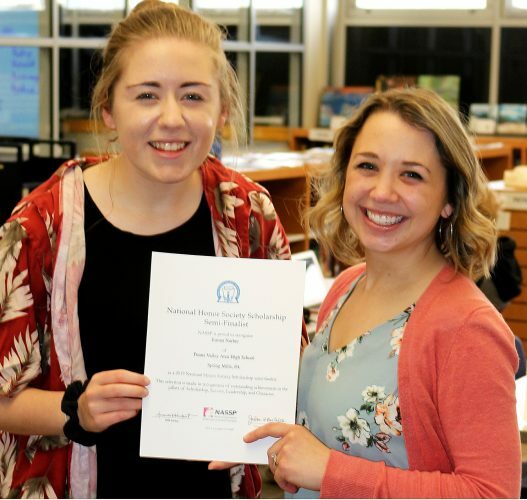 MILL HALL — Olivia McGhee, a senior at Central Mountain High School, received an Award of Excellence from the National Academy of Future Physicians and Medical Scientists. She was invited to attend the academy at the University of Massachusetts Lowell earlier this year. The academy encourages and mentors high-achieving students who plan to devote their lives to the service of humanity as physicians, medical scientists, technologists, engineers and mathematicians. Its mission is to give the students the necessary experience and skills to take them to the doorsteps of these careers. The Award of Excellence recognizes Olivia for outstanding academic performance, leadership potential, and dedication to serving humanity through the profession of medicine. With the award comes academy rights, honors and privileges, including social networks for future doctors, mentor opportunities from physicians and medical students, leadership training, career guidance and communications for students about internships, finances and skills acquisition. Olivia was presented with the award during the recent CMHS honors ceremony.